Few places offer more variety in vacation opportunities: Fantasy theme parks and attractions - Leisurely days on the best beaches in the world - Golfing in the "golf capital of the world" - Boating, sailing, kiteboarding, fishing, diving, snorkeling and swimming along 1,350 miles of coastline - Sport and deep-sea fishing - Exciting nightlife - Exploring unique natural wilderness - NASCAR and Daytona racing events - Cruises from several seaports. All this in ONE state: Florida - it doesn't get any better! The Orlando area is a natural choice for many who vacation in Florida. There are more attractions here than any other state. 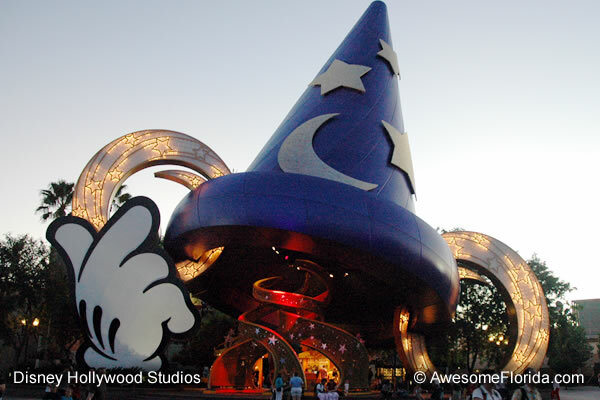 Orlando is central to many of the theme parks, but also consider attractions in other areas throughout the state. 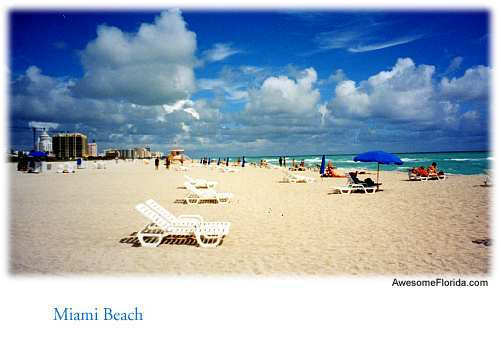 See Florida Attractions for more information. A great way to get out into the sun and play or socialize with friends or relatives. Even in the fall and spring when northern and Pacific coast beaches are too chilly to comfortably enjoy, our beaches are quite active and enjoyable. While the winters are too cool for swimming (for most), they are still a great choice for those who enjoy walking the beaches among beautiful scenes or just relaxing on a beach chair soaking in a little of the warm sunshine. See the Florida Beaches pages for more ideas. With over 1,300 miles of coast line as well as hundreds of natural lakes, the state is a boater's paradise. Consider power-boating, sailing, kayaking, skiing, wake boarding, wind surfing, kiteboarding, fishing, snorkeling and exploring the islands and coastal areas, eco-tours, canoeing . . . Many of the more popular destinations offer boat rentals ranging from kayaks to catamarans to powerboats. Choose your style - bass fishing on a serene lake, inshore saltwater and flats fishing, offshore saltwater fishing for the "big ones", or sport fishing for the "trophies"! Bring your own boat or charter. There is a well-established network of charter operations. Consider the increasingly popularity of kayak fishing - get close and personal for a more thrilling fishing experience. Not much to say, except we have over 1,000 public, private and semiprivate courses! 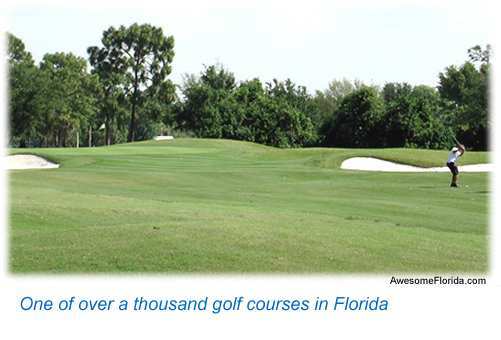 That coupled with our nice weather makes a golfing vacation a natural, particularly in the fall, winter and spring. Summer can get a bit hot, but start early or late in the day to beat the heat. Throughout the state and the Orlando areas are particularly rich in both the numbers and varieties of resorts. Choose your style from luxurious, pampered comfort to upscale convenience. Most choose a resort second to their preferred activities and interests. A road trip offers tremendous potential in variety and interests. Any of the ideas listed in this section become possible singly or in combination as a road tour. Additionally, many historical areas can be explored such as St. Augustine or Pensacola. Road trips are fun! Many travel here to visit with family and friends. This often pre-determines the location with activities planned around the visit. Use our website to help explore options and potential activities that complement your visit. Those who love sports will find a lot of opportunities. There are many professional sports teams including football, baseball, basketball, hockey and soccer - see Florida Sports page for more information. Additionally, a number of professional baseball teams offer spring training camps and games. 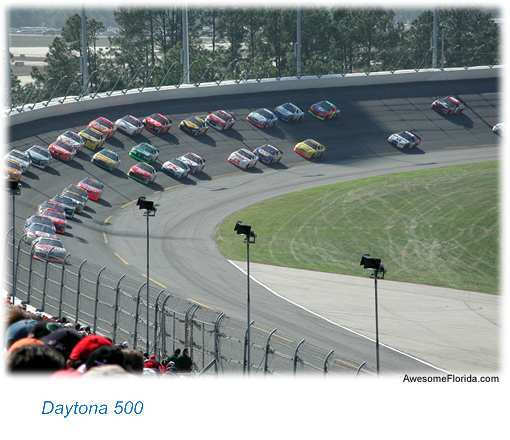 For auto race fans, look to NASCAR racing at Daytona and Homestead-Miami, Sebring and a variety of racing events at the Daytona International Speedway throughout the year, as well as occasional special events including Grand Prix racing. A very active state with year-round events and activities. Festivals seem to be our state pastime. Seafood, music, art and boating festivals abound. And, the Christmas boating parades are off the scale. With our great weather, motorcycle events and gatherings can also be found year-round, including the world-renowned Bikeweek and Biketoberfest in Daytona Beach in the spring and fall, respectively. Check Florida Events page for some of the activities around the state. 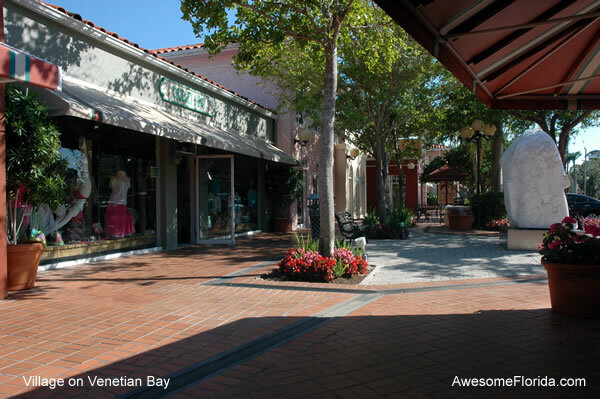 For those who have a passion for shopping - you know who you are - a vacation has lots of new venues and shops to explore! Make it a "shopping vacation" if you wish, or disguise as a visit to family and friends! Great shopping opportunities exist, ranging from world-class shopping districts to whole towns that cater to the antique business. Explore some of Florida Cities for more ideas (hint: check out Naples!). Plan activities involving any of the ideas above. A beach vacation could involve parasailing, wake boarding, surfing, jet skiing, kite boarding or windsurfing. Spring-breakers have laid claim to a number of locations for very active vacations including Fort Lauderdale, Panama City Beach, Miami, Daytona Beach, Clearwater and the Keys. Many of our cities offer a variety of museums of art and history as well as performing arts centers. See Florida Cities page to explore each city for venues that include the arts.